Old Glory Humidors are perfect for any American loving, cigar smoking patriot on either side of the Mississippi. With an image of the U.S. flag, on weathered finish wood, this 100 count humidor will be the perfect addition to your cigar collection. 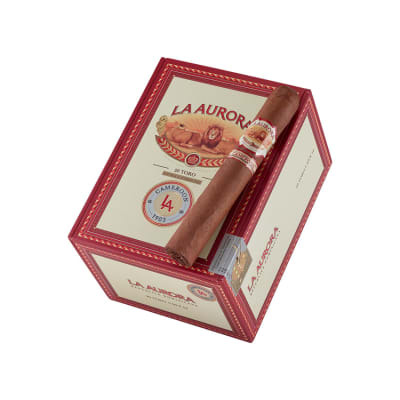 Get this wonderfully crafted humidor today! 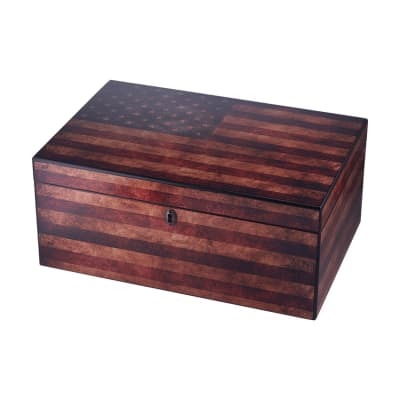 The Old Glory 100 count humidor has plenty of storage space, including plenty of shelf space. The lid has a tight seal allowing for consistent humidity levels. I have recommended this humidor to friends. 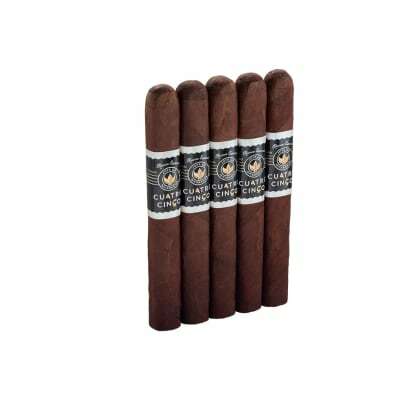 The right humidor at an exceptional price. Arrived in a well packed container; no damage. Plentbof room fir all my sticks. Seals very well. Maintains constant temperature and humidity. This humidor is perfect for me. 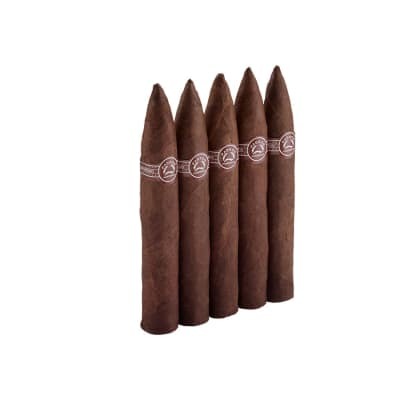 It is supposed to hold 100 cigars, but I think the capacity will certainly be determined by the size of the cigars I store. I like the American flag theme. It appears to be well made. The lid seals nicely. The hygrometer continually falls off the lid despite replacing it repeatedly. Not a problem though, since I order a digital hygrometer when I purchased the humidor.